Since going gluten free, I’ve tried several gluten free breads, but none of them have really come up to scratch in my opinion, at least as far as sandwiches go. So, as a substitute, I’ve started making these little quesadillas. 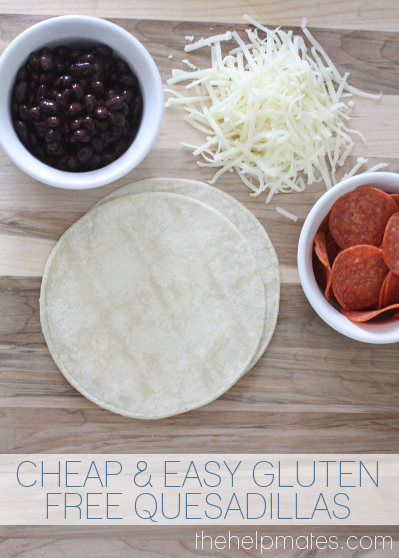 They’re super quick and easy to make, and all the ingredients are cheap. The recipe is simple: Start out with a corn tortilla in a small skillet on medium high heat. 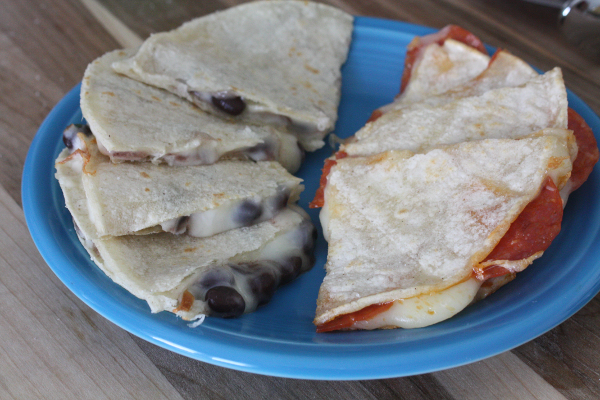 Then add a layer of mozzarella cheese, a layer or pepperoni (or black beans), another layer of mozzarella, and then top it off with another tortilla. Flip it over to brown the other tortilla and melt the cheese evenly. 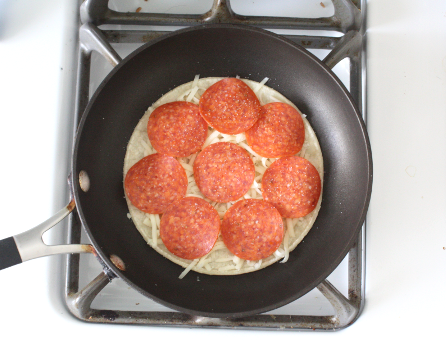 Then scoop it out and cut it into slices. One of the best things about this recipe is that you can easily mix things up with different cheeses, different beans, or even use up some leftover taco meat. And if you’re a sauce person, you can pull out some salsa or marinara for dipping.